Over the past 15 years, the Wi-Fi (802.11x) standard has been revised only a handful of times, evolving to include major revisions like 802.11b, g and n and smaller, incremental amendments like 802.11a. For the fourth time since 1997, the IEEE standards committee is planning another major revision to the standard being called 802.11-2012. This new Wi-Fi standard will differentiate itself from previous iterations by operating within a range of 3.65 and 3.7GHz. 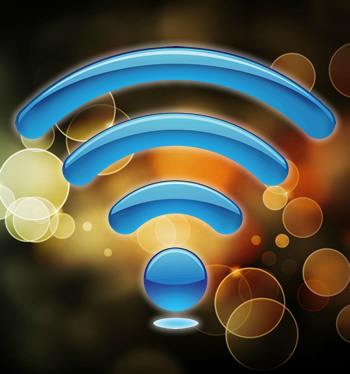 Current implementations of Wi-Fi typically operate around either 2.4GHz or 5GHz frequencies. However, with 2.4GHz completely saturated by almost every conceivable consumer device and 5.8GHz becoming more popular, utilizing a new area of the spectrum will give consumers more opportunities to avoid interference. 802.11-2012 is also expected to provide 600Mbps throughput. The PHY (physical layer) and MAC (a software layer) components of 802.11-2012 will be reworked to provide that impressive speed. Those changes will also allow for new additions like "mesh" networking, direct-link setup, changes in security, broadcast/multicast/unicast data delivery and additional network management features. As an aside, currently 802.11n can already achieve 600Mbps at 5GHz, but to do so requires MIMO technology to aggregate four multiplexed streams. The new guidelines brought forth by 802.11-2012 are also expected to have a minor effect on existing wireless standards. SmallNetBuilder has a great piece on one of the most noteworthy amendments 802.11-2012 adds to 802.11n: the elimination of 40MHz channel bonding while operating within the 2.4GHz range. Utilizing 40MHz bands allows 2.4GHz "n" users to hit a theoretical 450Mbps, but doing so omnoms channels like the Cookie Monster swallows disc-shaped confections. As a result, this practice has generally been frowned upon, especially in such a crowded area of spectrum. Given the potential interference troubles and the fact it isn't supported by all wireless cards, the IEEE probably felt dropping it was for the best.